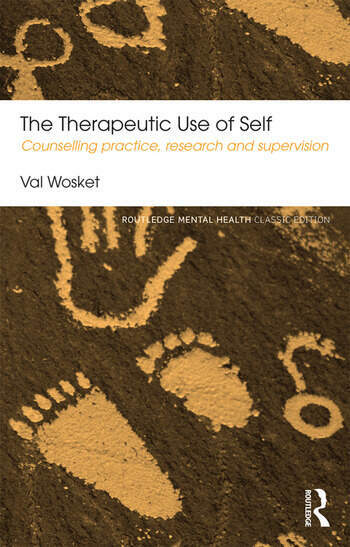 The Therapeutic Use of Self has continued, since its publication in 1999, to be considered a key text within integrative, humanistic and relational approaches for the training and development of therapists in the UK and abroad. Working beyond the accepted boundaries of counselling. The Therapeutic Use of Self will help professionals and trainees acknowledge, develop and value their own unique contribution to counselling and psychotherapy. The book remains a ground-breaking examination of the individual therapist’s contribution to process and outcome in counselling and supervision. Val Wosket has worked as a therapist, supervisor and trainer in University and private practice settings for over 25 years. She is a past teaching faculty member of the International Society for the Study of Trauma and Dissociation and author of Supervising the Counsellor and Psychotherapist: A Cyclical Model (with Steve Page: Routledge, 2015) and Egan's Skilled Helper Model: Developments and Applications in Counselling (Routledge, 2006). 'The Therapeutic Use of Self is a remarkable achievement, bringing together careful scholarship, the findings of her own research with clients and counsellors, and a high degree of openness about her personal feelings and experiences in relation to clients.